You have found the best page for the latest Chili’s menu prices! Chili’s Grill & Bar is a casual dining restaurant known for its lively and energetic atmosphere. Chili’s offers American comfort food classics plus Tex-Mex favorites. Popular food items include craft burgers, fajitas, and baby back ribs. You can also order pasta, steaks, salads, and chicken dishes. For those that are calorie conscious, Chili’s has a menu with select dishes that have less than 600 calories each. The Chili’s famous full-service bar serves their signature margaritas and other well-known cocktails. Although not an ideal eating spot for kids, Chili’s does offer a full kids menu to choose from. Below are the latest Chili’s menu prices. My Chili’s Rewards is a loyalty program where you earn points toward free food items. Who doesn’t like free! Signing up is simple plus you automatically get 60 points. Membership also gets you a free dessert for your birthday. Make your visits earn you points towards a free appetizer, lunch combo, entree, or dessert. Now you can enjoy all your Chili’s favorites at home! Visit your local grocer’s freezer section and get your hands on single-serve and multi-serve packages of select appetizers and entree dishes. Better than Chili’s To Go, this is At Home! Restaurant Meal Prices is your go-to site for quick access to menu prices but feel free to peruse the Chili’s website when you can. The website is filled with useful information. The perfect gift for any occasion is a Chili’s gift card. You can send a gift card via postal mail or you can order an e-gift card anytime and send it to the recipient’s email address immediately. That is fast! Your social gathering or corporate event will be an immediate success when you order Chili’s party platters. Who doesn’t like their favorite Chili’s items prepared and ready to eat with the hassle to clean up and wash dishes? No time to sit down and eat? No problem. You can easily order your favorites online and pick them up on your way home. Love the food at Chili’s and think you can be a great team member? Check out the Employment page and read what Chili’s has to offer. From hourly to management and corporate opportunities, if you are ready to work hard and passionate about the hospitality industry, Chili’s wants to hear from you. Chili’s Grill & Bar believes in giving back to the communities they serve. Team members volunteer their time with local service groups and the organization makes monetary contributions to 501 c(3) charities. Chili’s is also involved with the St.Jude’s Children’s Hospital. To view more information about Chili’s, visit their official website. When was the first Chili’s Restaurant established? A trip to an annual chili cook-off was the inspiration that pushed Larry Lavine, founder of Chili’s Grill & Bar, into opening up the first location in 1975 in a converted post office. Larry wanted a place for friends and family to meet and enjoy good food. That was the vision that today is Chili’s Grill & Bar, a full-service casual diner serving different kinds of burgers, ribs, and fajitas. In 1983, Lavine sold Chili’s to Norman Brinker of Brinker International. Brinker International took the initial 28 locations and turned them into a chain of over 1,500 locations spread over 31 countries. The chain of restaurants currently has branches in Asia, Europe, the Middle East, the Caribbean, North America, Central and South America, and there are plans for expansion in other areas. Brinker International is a publicly traded company on the NYSE and headquartered in Dallas, TX. 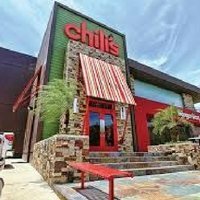 What are the hours of operation for Chili’s Restaurant? Most Chili’s locations are open from 11:00 am- 11:00 pm. Check with your local Chili’s for exact hours of operation. Where can I find calorie information on Chili’s Restaurant dishes? Everyone is watching what they eat and counting calories. Chili’s makes it easy to stay on track with a complete nutritional guide for all their menu items. Nutritional information can be found here on the Chili’s homepage, click on the ‘Menu’ tab. Scroll down the page and click on the ‘Download Nutritional Information’. Have an allergy and are worried about a possible reaction? The Chili’s website has a page that offers select food choices to order depending on your allergy. Chili’s welcomes meat-lovers and vegetarians Check out their vegetarian menu selection so you don’t have to be left behind while everyone else enjoys a great time at Chili’s. I am a member of the YMCA Active older adults group. We have a Birthday Bash on the second Tuesday of each month. We try to give the members that have birthdays that month a gift card to a local restaurant. We would like you to participate by donating to this cause.